Do you want to increase enormously your conversion rate? Well, web design is the key to obtaining it. The multiple components of a website design will perfect every visual effect of your landing page. But most importantly, they leave a strong impression on the visitors who happened to see your site for the first time. When thinking about how a great design can boost your business, high quality will jump-start your presence—especially when it is new. Increasingly, it improves your online presence and will reach effortlessly your audience in no time. To start establishing a well-crafted professional website design, first think about the layout, color and the navigation. These are indispensable elements so essential to improve your site. The easiest way to discourage visitors is allowing them to see an obsolete and dull website. This old site shows no improvements for the last few years and is frustrating both to the owner and to the audience. To come up with the modern and current display of your business, here are essential design updates you shouldn’t overlook when starting a new website. 1. Home page must be structured with care. Allow your home page to do important tasks by itself. How? It should perform a plethora of audiences who get all the answers in their questions. Assistance should reach them as soon as they have landed on your home page. Above all, visitors must immediately know your business and have complete information about your products, services and operation. Have it designed perfectly with enough care more than you would do to the remaining pages of your website. 1. Have a strong identity of your homepage. 2. Simplify everything and remove unnecessary links, widgets, clutters and call-to-action buttons. 3. Use the most suitable type of fonts and sizes. 4. Use quality images and with blending colors. 2. Establish an insightful website structure. If your website is insightful, your audience navigation will not stop. It means that visitors will always explore to see new things behind that attractive layout. Navigation makes your site stand out, provided visitors can enjoy finding directions on what they’re looking for. Conversion rate follows next when it encourages your audience to click on the “call-to-action” button. Insufficient accessibility only drives people off your site because they can’t go to the page that gives them good details. An insightful website, on the contrary, promotes more clicks and browsing among your visitors. What, then, is a helpful navigation experience? 1. Proper orientation is necessary to balance everything on your site. It makes every page clean without unwanted clutters. Since technology evolves rapidly, why not choose a responsive design to meet the needs of your users. 2. Provide facts and reliable statistics. Make each content well-arranged and organized for easy understanding of your visitors. 3. Users should not get overwhelmed with numerous links. Neither pages should be congested with lots of texts. The rule is maintaining simplicity. What’s the use of providing tons of pages if basic information about your business is nowhere to be found? 3. Pick only appropriate colors. By applying the right design colors, your website can display the perfect tone combination with all the necessary contrasting and complements. The result? Your message will be put into words through colors where users can clearly perceive what you mean. 1. To make it simpler but more stunning, employ some proper amount of colors—not more or less than enough. 2. Understand what the right color wheel is by picking colors that produce the right blend and harmony. 3. In other cultures, colors portray various meanings as well as different emotions. Be extra careful not to create offending color combination to most of your audience. Make an in-depth research to find out the meanings of colors and their combination. 4. Contrasting colors are helpful to avoid having a visual monotony that can be a sort of mess. With colors contrasting each other, it’s easy to see the background against the overlaying text content, images and fonts. You may have the best website design in the world but if you overlook quality content, you won’t gain the trust of your visitors. Effective content is created by not highlighting on the site’s design and not compromising on the content either. Make your content as attractive as your design is. Spending time researching and creating king content is rewarding in the long run. Think through also about something new and fresh to put into your content. Consider the right words to use, specifically on clickable buttons like “call-to action.” The choice of words you put to your “call-to-action” button can either break or make your conversion rate. You’ll receive 4.2% conversion rate when right words are selected and used. 5. Prioritize your page loading time. It takes time to load images and videos when opening your website, so you must think if they are really helpful or not. While incorporating them can draw visitors’ attention, don’t ignore the fact that they slow your loading time also. It turns your site to respond bit by bit. Based on studies, slow sites will only irritate the visitors and you can’t gain reliable traffic from this. Sadly, a single-second delay can mean a 7% loss in customer conversion. So think intelligently with a purpose. Say no to bells and whistles if they will only decrease your conversion rate. 6. Strive to provide SEO-Friendly website. It simply means focusing on SEO techniques and acceptable practices. Find a bigger picture when considering your design to be search engine optimized. Having an SEO-friendly website is the way to draw more traffic. Therefore it’s important to have best features of SEO, regardless of what the nature of your business is. Use SEO current practices in optimizing content. 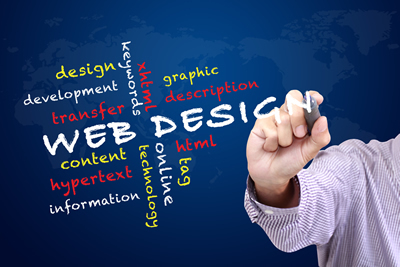 Your own website design is the perfect image of your company. Therefore, it’s important to keep it with the current web design. A cluttered site without any upgrades will only look obsolete and it will deny your good credibility. Too soon, it will have a huge negative impact on your business. So it matters to spend enough time on creating an impressive website design. Always combine the essential qualities and elements favorably. What customers see in your website is the most important thing of all. Allow it to mirror your business and your quality services through your chosen design.